Online Trading Academy (OTA), a leader in trading and investing education, is proud to announce that Mary Beth Motisi, owner of Online Trading Academy's Houston, Texas, location has been named a "Franchise Rockstar" for 2019 by the Franchise Business Review. Motisi is among just fifty franchise owners chosen out of thousands of nominees. Franchise Business Review selects its top fifty franchise owners by analyzing research from over 27,000 franchisee surveys across more than 300 leading franchise brands. Each entrant is given a score based on business excellence, community engagement, and franchise leadership skills. The top fifty scorers are designated "Franchise Rockstars," their designation of the best of the best in franchising today. In October 2018, Mary Beth was the recipient of the highest honor awarded to an OTA team member, the Above and Beyond Award, which is given to network members who make a major contribution to the entire Online Trading Academy business. "I am so proud of Mary Beth and all she and her team have accomplished in Houston," said Gene Longobardi, Chief Operating Officer. "We can always count on her to provide great insight and wisdom on our Franchise Advisory Council and to actively participate in business innovations and network events. She is a credit to our entire system!" For Motisi, the choice to open her franchise was not a difficult one. After working her way up the corporate ladder at McDonald's through hard work and determination, she became interested in the stock market and began classes with Online Trading Academy. After benefitting as a student, Motisi moved from Wisconsin to Texas to open her own franchise almost a decade ago. "Being a student at OTA changed my life, and I wanted to bring that same opportunity to others. I am so proud to represent this community and this company," said Motisi. "My campus is a direct reflection of myself," she explained, "I love who we are, what we do, and how we do it." For Online Trading Academy, it does not come as a surprise that Motisi was selected for this award. Even when faced with personal and professional challenges, Motisi continues to emulate the enduring, determined, and compassionate spirit that makes her such a valuable member of the OTA family. "There are some many fantastic success stories out there; it was painful to narrow our list down to just 50 Rockstar Franchisees," said Michelle Rowan, President of Franchise Business Review. "There were hundreds of deserving business owners. In the end, we picked 50 that really stood out. Franchisees that not only excel in their businesses but provide strong leadership within their franchise organizations and their local communities." Online Trading Academy (OTA) is the world leader in financial education for investors looking to build life-changing skills designed to help make the right moves in the financial and real estate markets. Online Trading Academy's patented Core Strategy is designed to empower traders and investors to make smarter investing decisions. Students learn under the guidance of experienced traders in an interactive classroom setting with extensive online education resources. The courses are geared toward individual investors or traders, novice or experienced, who want to learn how to use similar tools and trading techniques as the professional traders on Wall Street. OTA has its roots in the largest trading floor in the Western US, founded in 1997. From a single location in Irvine, CA, Online Trading Academy has expanded to more than 48 worldwide campuses. Franchise Business Review (FBR) is the only independent market research firm that specializes in benchmarking franchisee satisfaction based exclusively on ratings and reviews from franchise owners. FBR publishes free and unbiased franchisee satisfaction research reports throughout the year online at FranchiseBusinessReview.com. Request your Free Franchise Consultation now! We provide a free consultation service to help you identify the best franchises to meet your business ownership dreams. 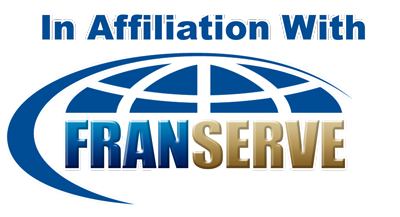 Site hosted and managed by FranServe Inc.